This was our tree this year. All of the ornaments are either made by Gwenyth or given to her as a gift. EVERY time she came down the stairs and saw the tree lit up, she exclaimed, "oooooo!" as if she was seeing it for the first time. 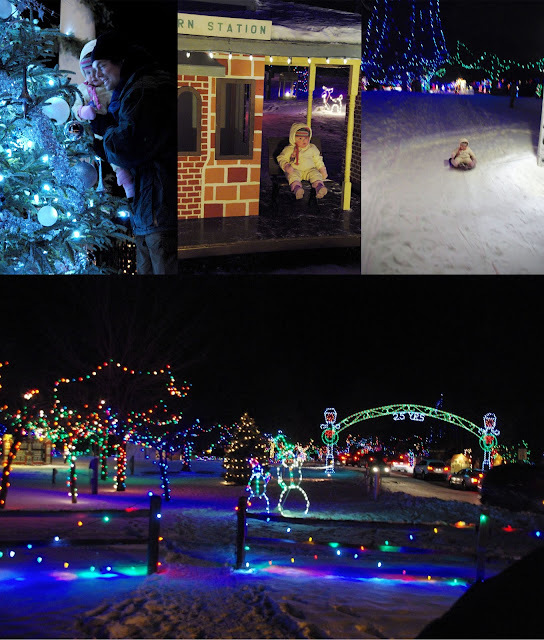 The best way to see the Irvine Park lights is definitely by sled. Gwen made ornaments for grandparents, aunts and uncles. Very simple, made of salt dough, but completely formed and painted by her. 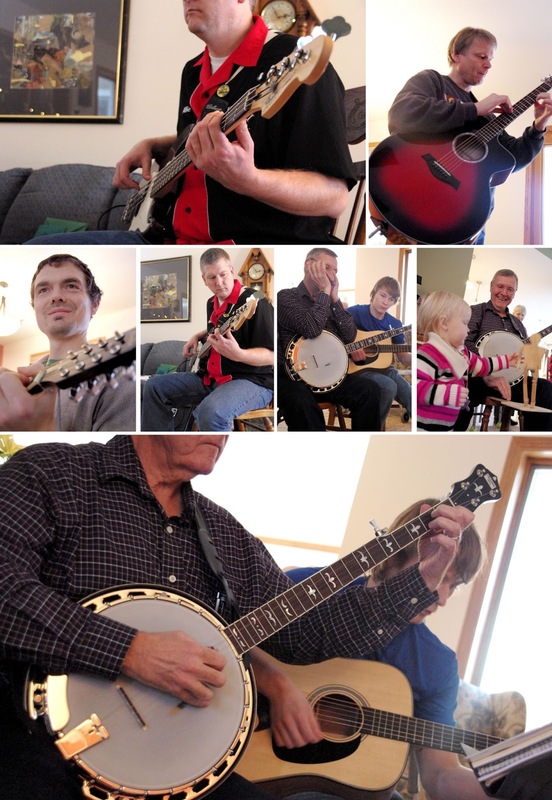 Playing music is a tradition in my family. My dad recently started learning the banjo. I admire him; he is indeed a life-long learner. Christmas eve gift opening. She was definitely most interested in... the packaging. Notice what's in her hand while pushing the cart. Reading the Christmas story with Uncle Dan who is home from China. She finally got how to tear the paper toward the end of all the celebrations. Dancing as we sing Carols.